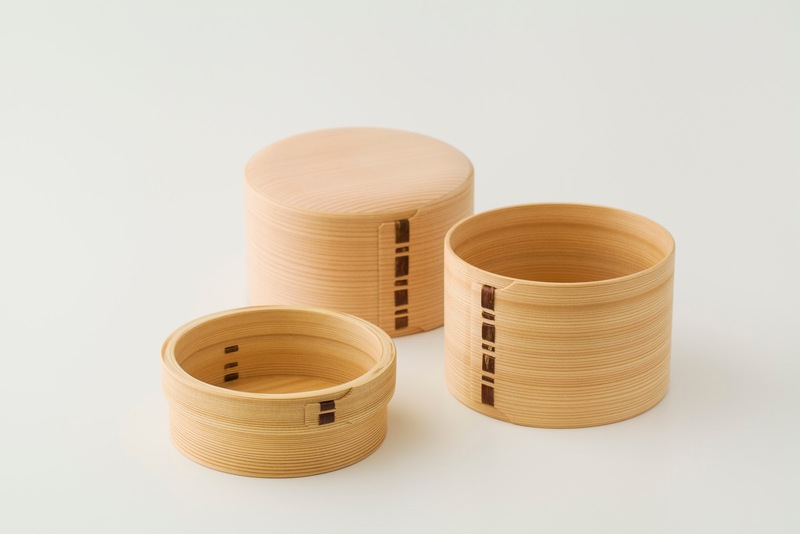 Shibata Yoshinobu Shouten is a family-owned company in Akita prefecture, which makes Magewappa, the bent wood bento box. When I decided to start Sumika Crafts, Mr. Shibata was one of the first people I reached out to for products to include in my selection. I used to take my lunch to work in my plastic box. One day I used a Magewappa instead of the plastic box for my normal bento. I was so surprised at the difference - the rice tasted so much better! Since then I have never returned to using plastic. This experience was priceless and I was convinced that it is worth paying for the beautiful cedar box, as it brought me such a rich experience whenever I used it. The secret is in the plain cedar wood used to make the box. It adjusts the moisture inside the food, for example, it absorbs unnecessary moisture in rice, and this keeps the rice fresh. 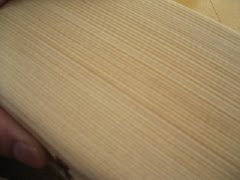 This is because Shibata Yoshinobu Shouten leaves the surface of the wood plain, rather than coating it. Plain wood keeps its hygroscopicity, its bactericidal effect, aromaticity and, above all, its beauty. You will love the aroma of natural cedar and the taste of your food. Sometimes I feel that Japanese products are too beautiful to use. But once I used the Magewappa, I realized that this is a tool to enrich people's lives. It is made for people to use and enjoy not just for display. Magewappa makes any food inside it look beautiful even if they are just simple rice and vegetables. Maintenance is quite easy. No detergent is needed. Soak it in hot water and the dirt floats off it after a while. Scrub the wood with a brush of natural material. Rinse it and leave to dry naturally. Also, Magewappa is fairly durable. 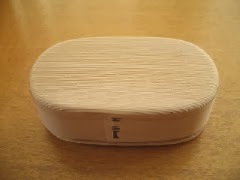 Below is the bento box of Mr. Shibata's wife used for more than 10 years. The colour became slightly dark and the surface is not flat anymore as it was used and scrubbed everyday. You can see that the straight grain of cedar stands out. But still this box works perfectly and it has become one's personal box that has been nurtured over time.